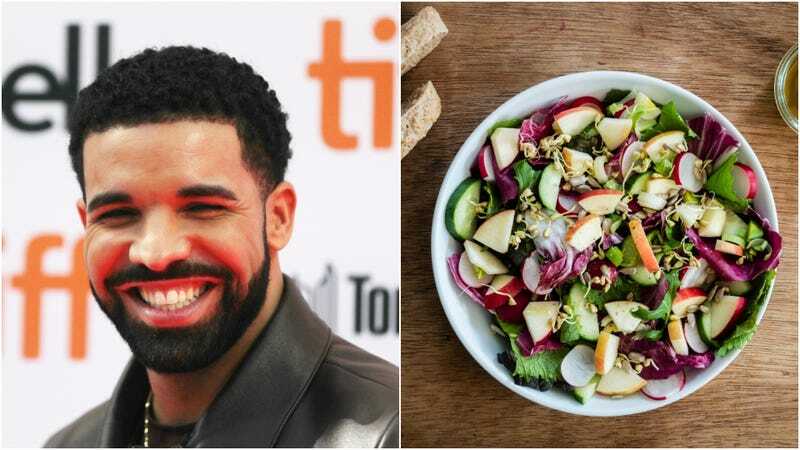 It came as a shock to absolutely no one when rapper Drake coolly suggested earlier this month that he’s become a vegan. (He’s in touch with his feelings, and presumably those of animals, too.) But the Canadian celeb—and, lest we forget, former Degrassi star—is not earning any toughness points thanks to his latest fan: Canadian salad chain Freshii. Drake hasn’t yet commented on the campaign, Munchies reports. Ask The Salty Waitress: What should I do when my toddler makes a mess of the table?